Today I finished up the last of my US sci-fi armour. 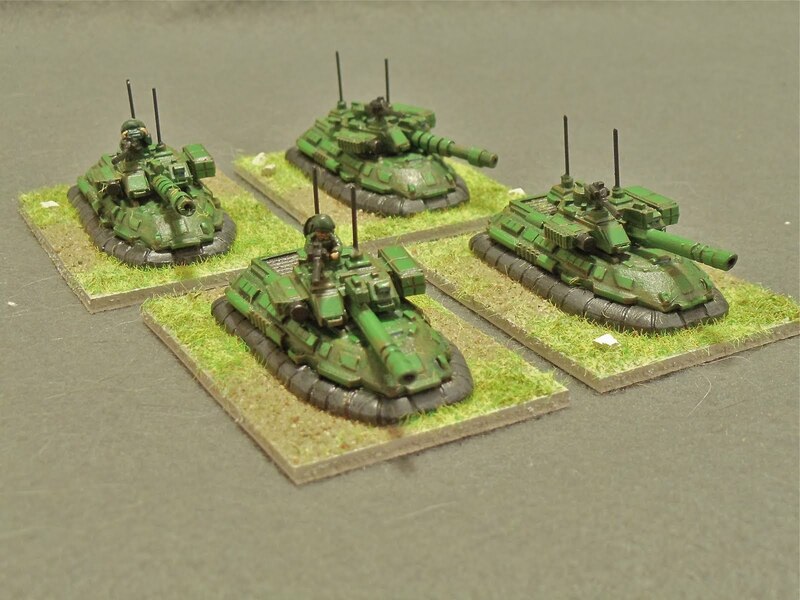 These are a group of 4 medium tanks and are from Ground Zero Games. 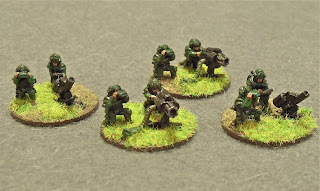 I also finished 4 heavy weapon bases. Also from Ground Zero Games. That finishes it for the vehicles for my US faction. I have 2 batches of infantry remaining. Next up will be one of the groups a couple starships and maybe some terrain. I like the tanks--did you use a drybrush to get the tonal difference on the tank? Very cool, Scott! Love the tanks. Kind of involved but they look pretty good.